Gov. Greg Abbott at a news conference Tuesday in Waco, proposing bail reform. Governor Greg Abbott has his sights set on bail reform during the upcoming legislative session. 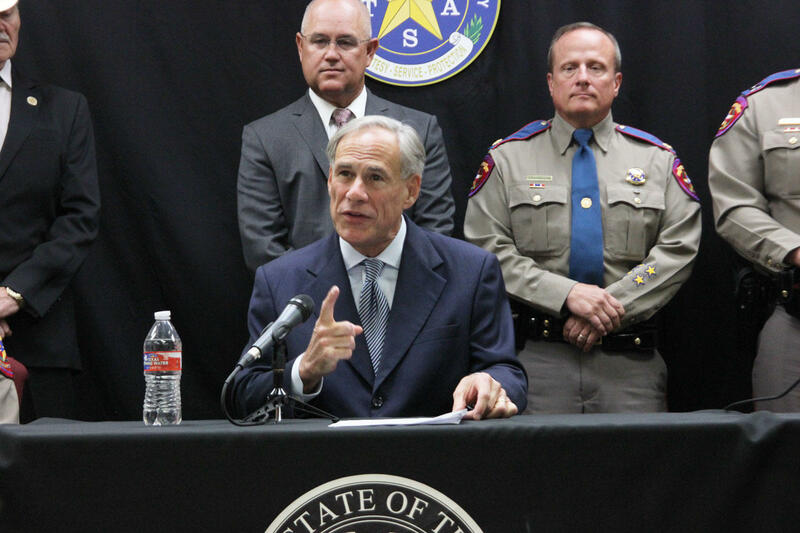 Abbott held a news conference Tuesday at the Texas Department of Public Safety in Waco to propose the Damon Allen Act, named for a state trooper who was shot and killed during a routine traffic stop in 2017. Allen, a 41-year-old DPS trooper, was killed last Thanksgiving during a traffic stop near Waco. The suspect Dabrett Black, 33, was out of jail on bond at the time of the shooting. The bill also changes which judges can set bail for felony offenses — and some misdemeanors, including secual assault — allowing only state judges to hear those cases. According to Abbott, the bill is designed to make it difficult for repeat offenders to make bail. When asked about the bill’s ability to pass the Legislature, Abbott said: “Every member of the Legislature understands the we have lost a life from one of our best and brightest peace officers because of flaws in our bail system."